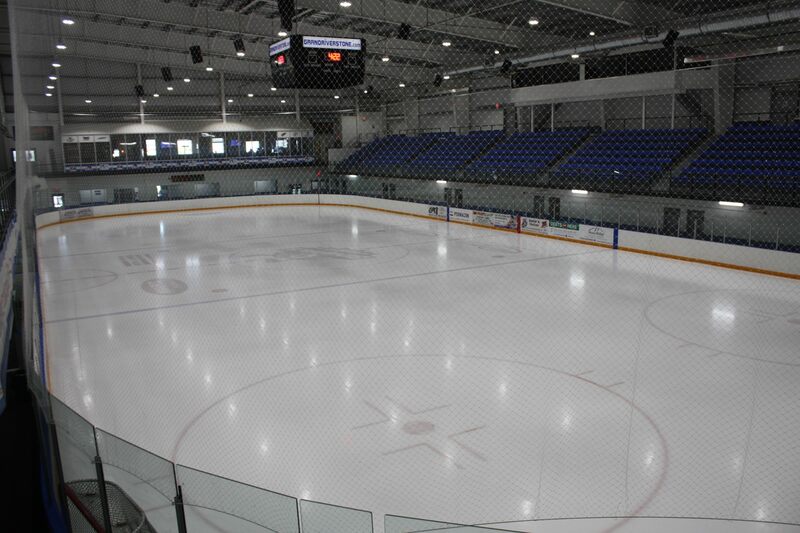 The facility will accommodate 3,000 spectators. 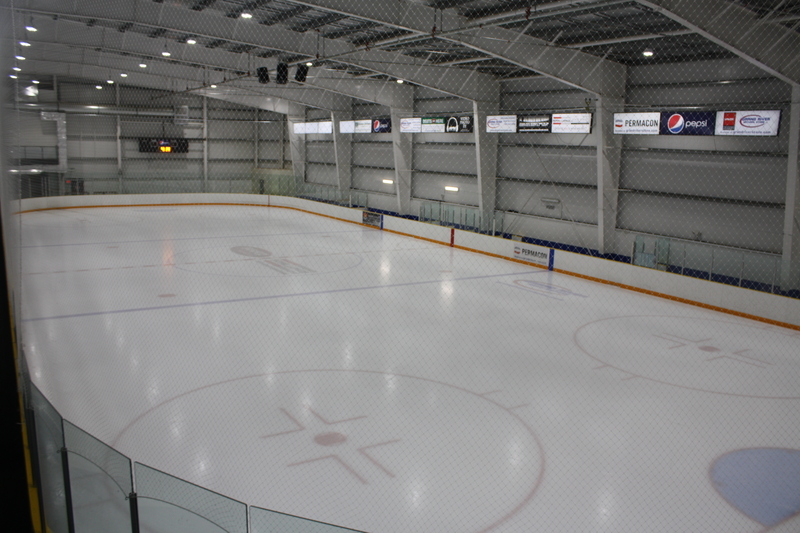 The main rink - with 12 change rooms - features approximately 800 stadium style seats, and standing room for an additional 400 fans. 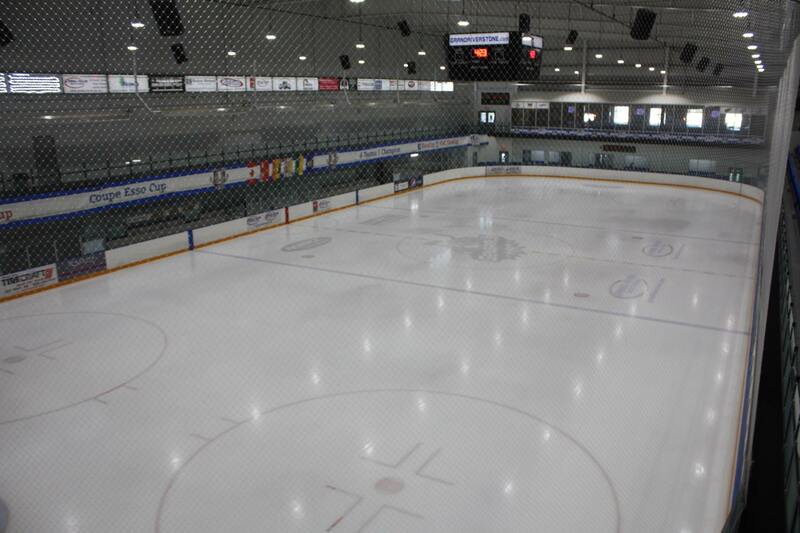 There is also viewing from Don Cherry’s Sports Grill which overlooks the entire first rink as well as from a Press Box and one VIP box which are suspended near the top of the 49 foot rink ceiling. 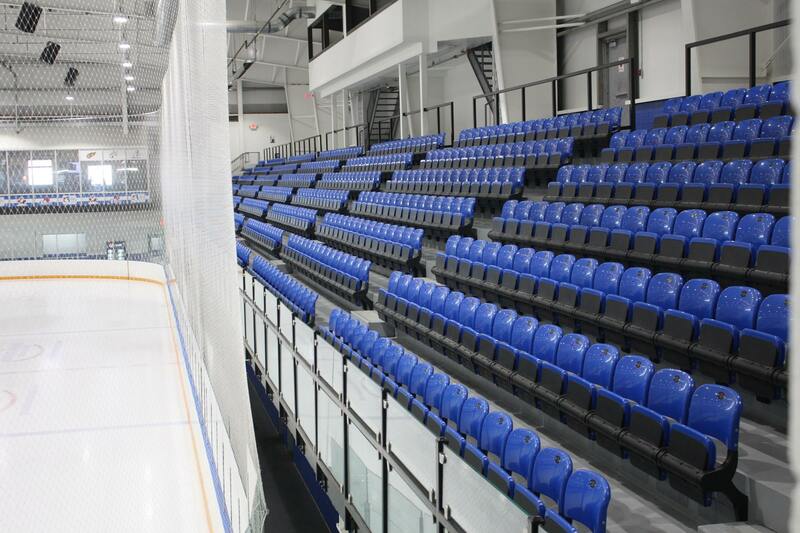 Rink 2 has bench seating for approximately 400 spectators with additional room for fans that wish to stand. 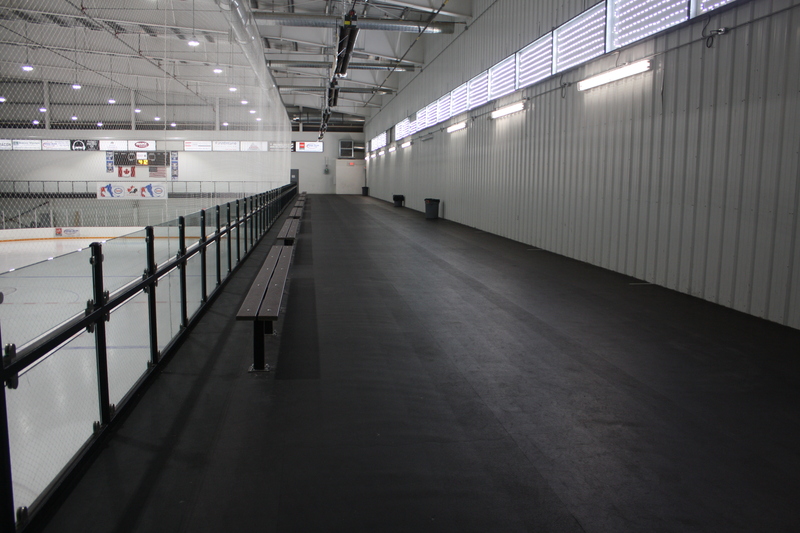 It also has 3 rubberized sprinting lanes that are approximately 60 meters long for teams to warm up and train on as well as a 200 meter walking track surrounding the entire rink. 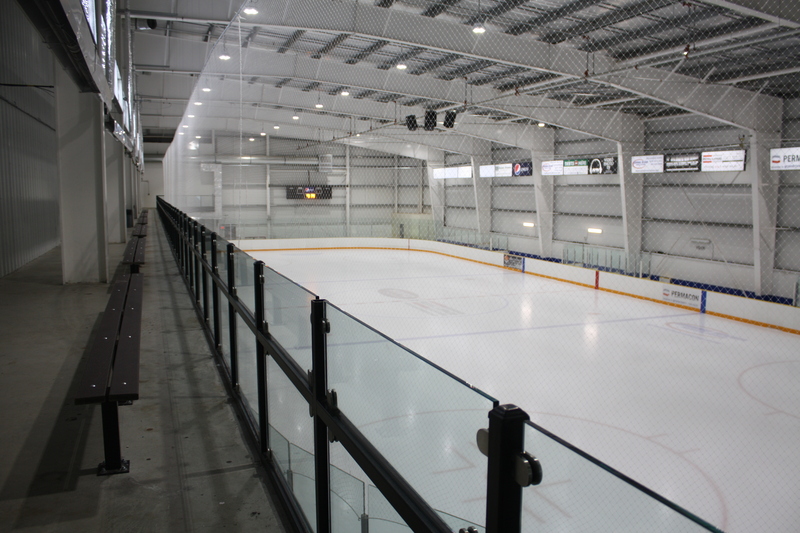 Rink 3 has bench seating for approximately 200 spectators with additional room for fans that wish to stand as well. It also has viewing for those who wish to have a cardio workout at 5 Star Fitness and Nutrition Centre. 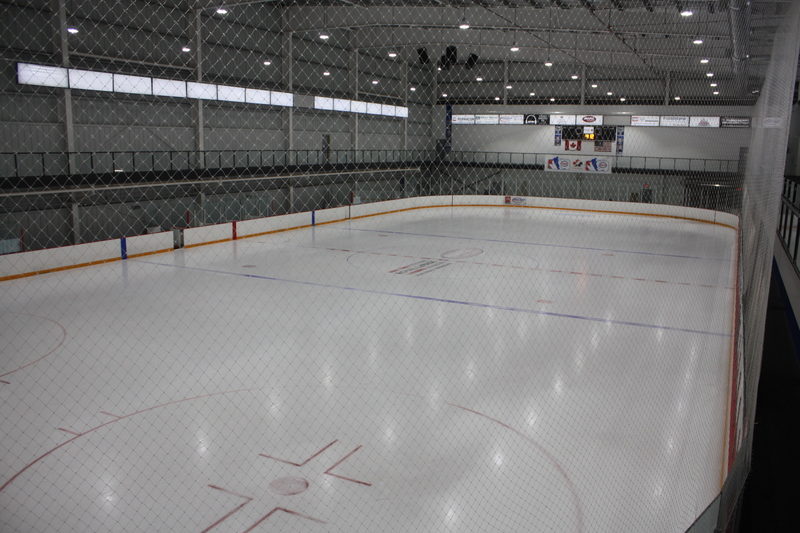 A glass wall at the east end allows athletes to walk, run or ride while viewing events on the ice surface. 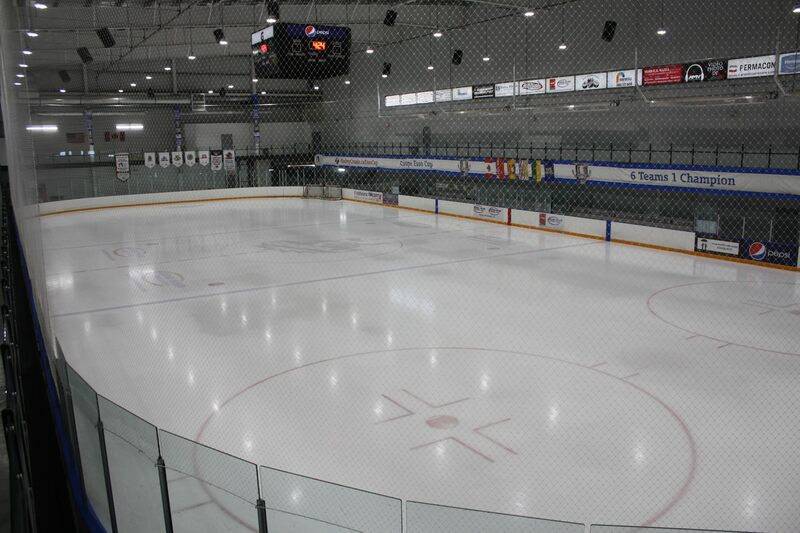 An ultramodern sports store called Goal Line Pro Sports which can accommodate all of your hockey needs including great skate sharpening and an equipment sanitizing station that will transform the smelliest equipment into a condition that no one will complain about! 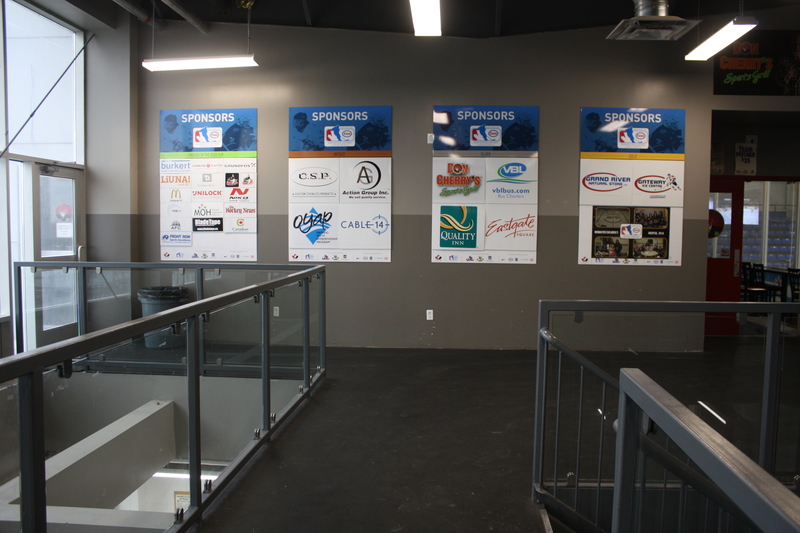 Gateway Ice Centre prides itself on great customer service! We welcome you to come in and check out our great facility!